We would like to thank you for taking the time to explore our web site. We hope your visit with us is an experience in learning more about our stylists, spa services and the line of fine quality products that we offer. From hair, makeup, and wedding parties to facial treatments and massages. We are your one stop beauty spa salon! We consider each client as an individual with his or her own needs and desires. We strive to fulfill those needs and desires with the best talent available. We specialize in color and color correction and our expert team of color specialist are here to formulate the best possible formula for you. We love giving our clients the perfect color to go with their everyday lifestyle and sometimes we'll spice it up with some peek-a-boo highlites that are wild and funky! Do you have a Wedding or Special Event coming up where you need both hair and makeup done? The Besos girls have done numerous events from a small group of three to large parties of 12. Their professionalism has won them a great reputation with local photographers and local event planners. Call us to book your next trial and we guarantee you will leave satisfied. 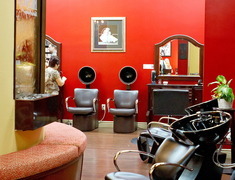 While our expert team of stylist create the right look and color for you, enjoy our spa specials during your same visit! Waxing, lash/brow tinting, facials and massages are just a few of our many services our professional and certified spa technicians offer. We also use PCA, the top of the line skin care line. Please Visit our Facebook page for pictures of our happy clients with their new looks. 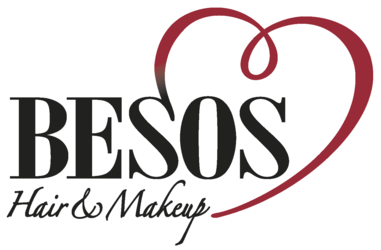 You will also find bridal, bridal parties and special events pictures along the latest Besos news and happening! WeddingMakeup.com is the world wide wedding Makeup artist directory and beauty resource.